What is Europe? Who is European? What do Europe and European identity mean in the twenty-first century? This collection of sixteen essays seeks to answer these questions by focusing on Europe as it is seen through its own eyes and through the eyes of others across a variety of cultural texts, including sport, film, literature, dance, cartography, and fashion. These texts, as interpreted here by emerging researchers as well as well-established scholars, enable us to engage with European identities in the plural and to understand what these identities mean in larger cultural and political contexts. 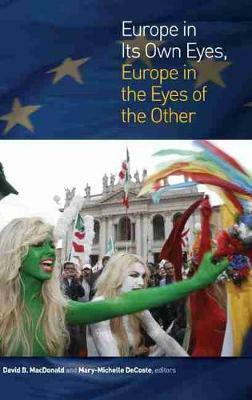 The interdisciplinary focus of this volume permits an exploration of European identity that reaches beyond the area of European studies to incorporate understandings of identity from the viewpoints of both insider and other. Contributors explore diverse understandings of what it means to be "other" to a country, a culture, a society, or a subgroup. This book offers a fresh perspective on the evolving concept of identityain the context of Europe past, present, and futureaand expands on the existing literature by considering the political tensions and social implications of the development of European identity, as well as its literary, artistic, and cultural manifestations. David B. MacDonald is an associate professor in political science at the University of Guelph. His publications include Introduction to Politics , The Bush Leadership, the Power of Ideas and the War on Terror , Identity Politics in the Age of Genocide (2008), and Thinking History (2009). His website is www.davidbmacdonald.com. Mary-Michelle DeCoste is an associate professor of Italian studies at the University of Guelph, and in 2010 she held a Craig Hugh Smyth Visiting Fellowship at Villa I Tatti, Harvard Universityas Centre for Italian Renaissance Studies, Florence, Italy. Publications include Hopeless Love: Boiardo, Ariosto, and Narratives of Queer Female Desire (2009), as well as articles in journals Quaderni daItalianistica and Heliotropia and chapters in a number of edited books.